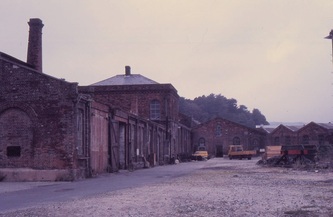 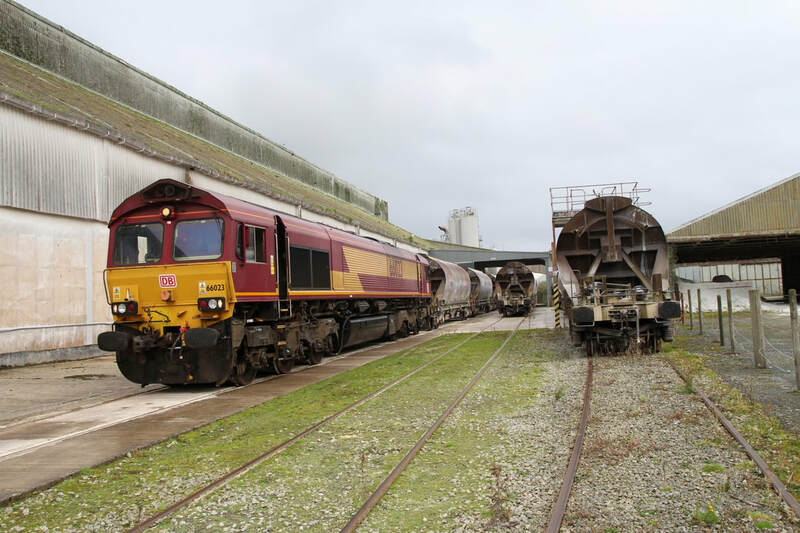 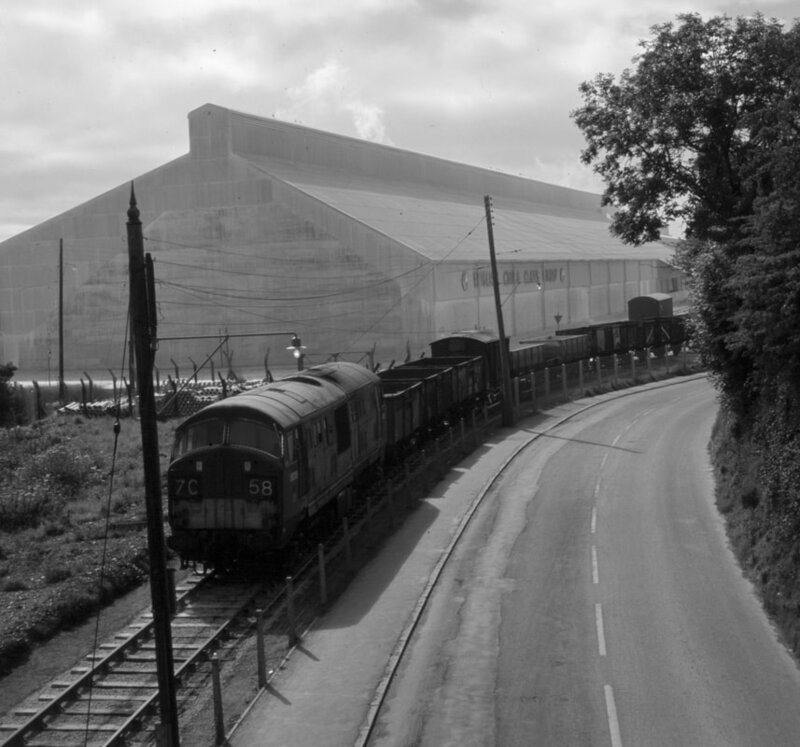 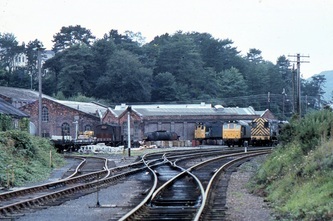 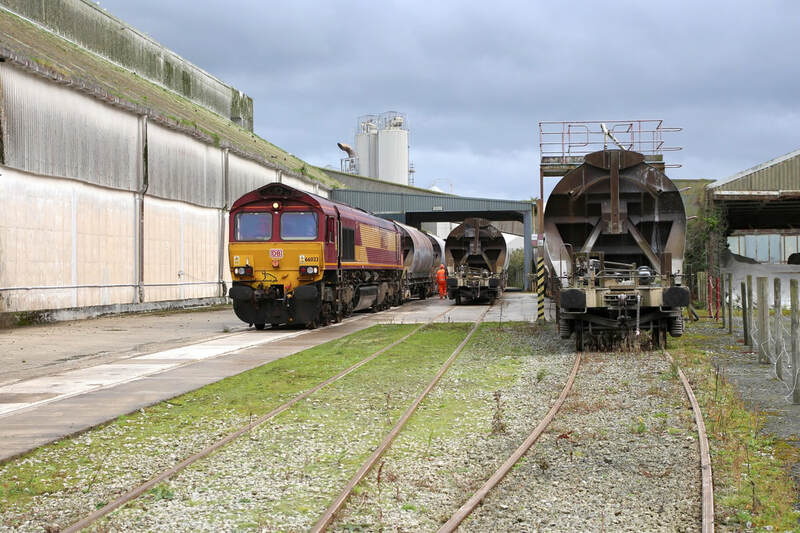 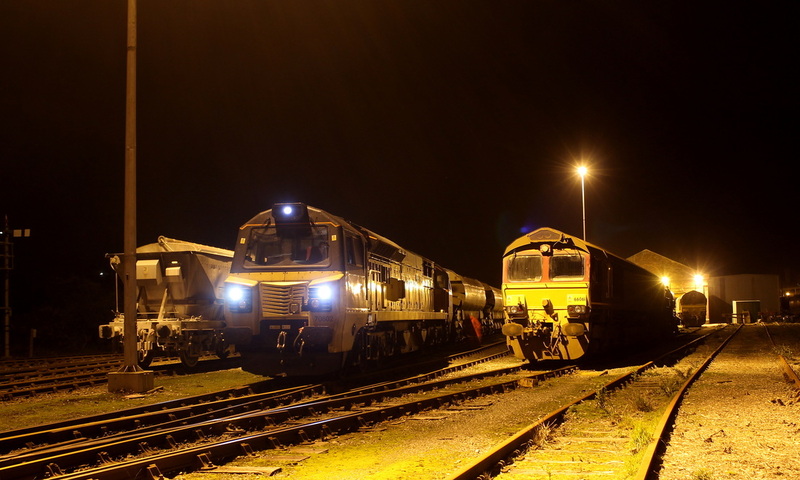 St Blazey Depot and Par Harbour. 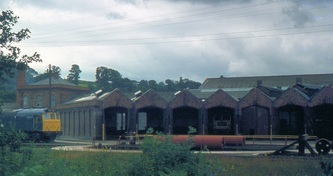 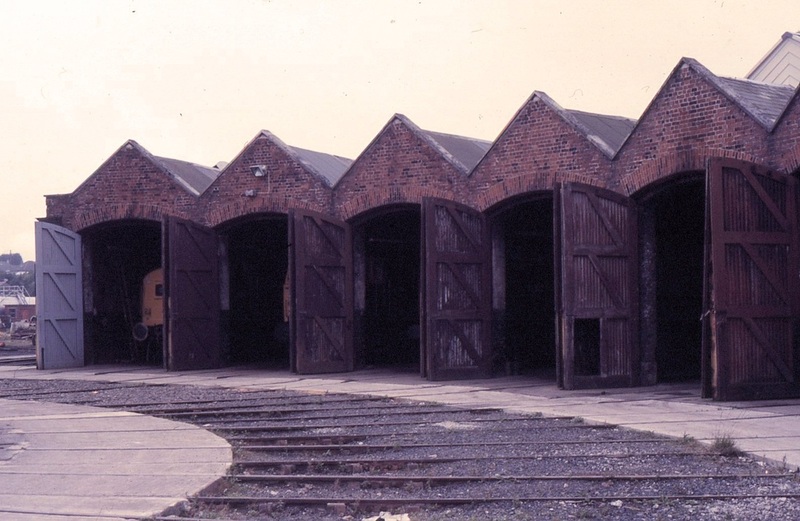 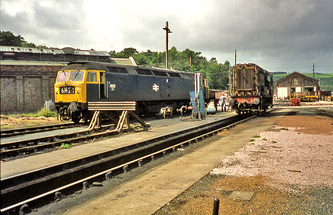 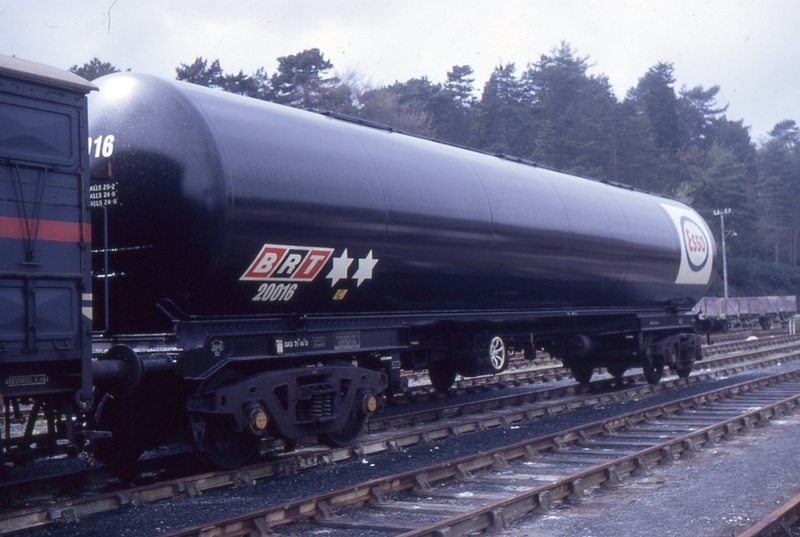 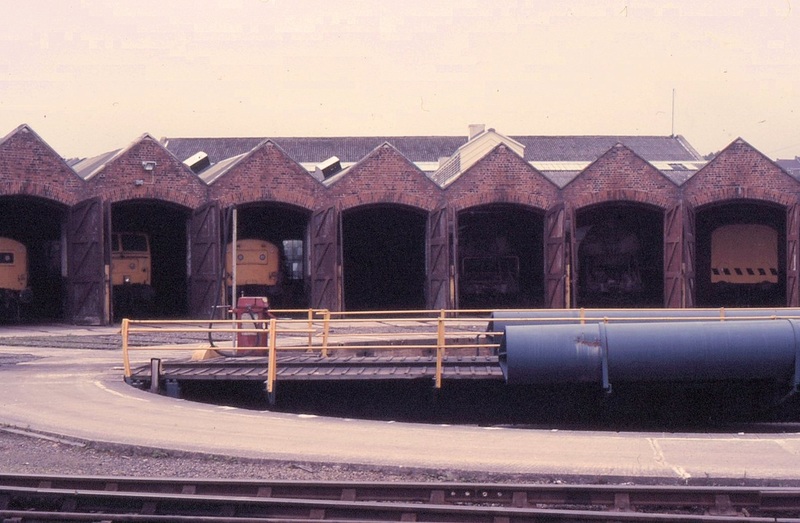 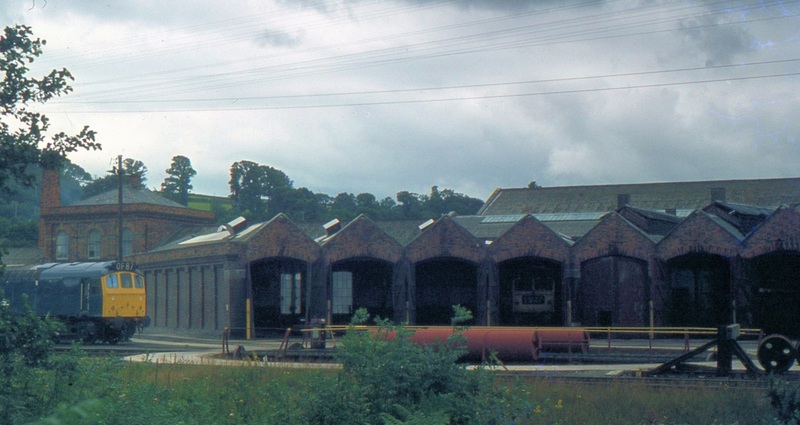 A nicely stitched wide view of St Blazey Depot from the road in 1995. 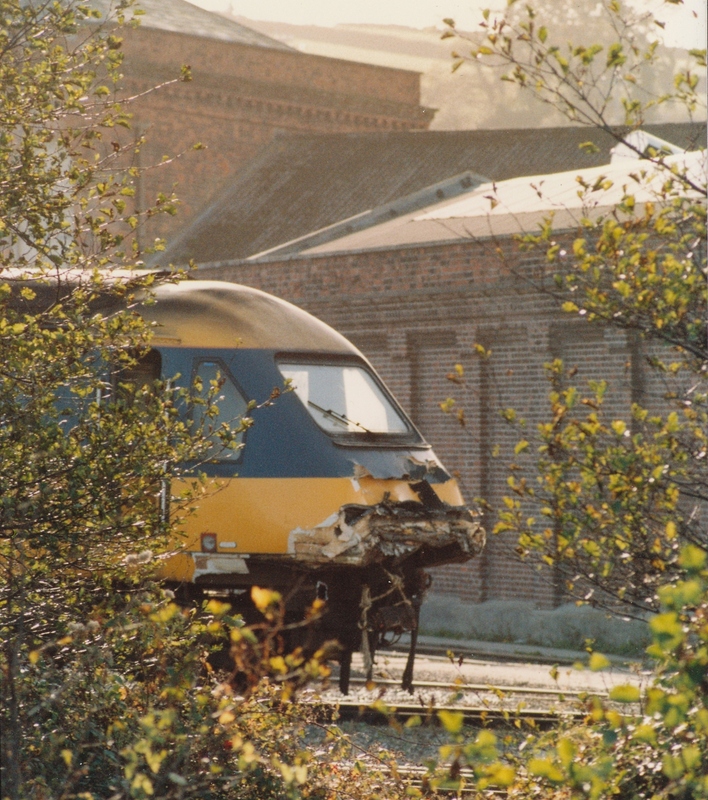 That looks like the popular Chocolate and Cream resting in the siding. 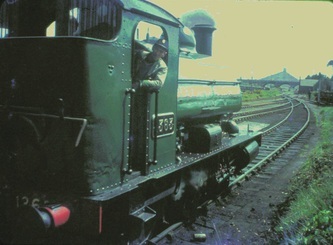 Picture by the late Sid Sponheimer - Copyright. 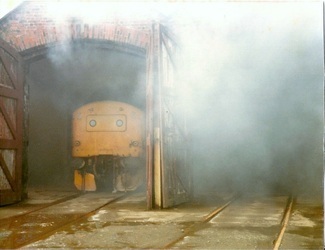 Rodger Tabb crewed up with Ron Retallack. 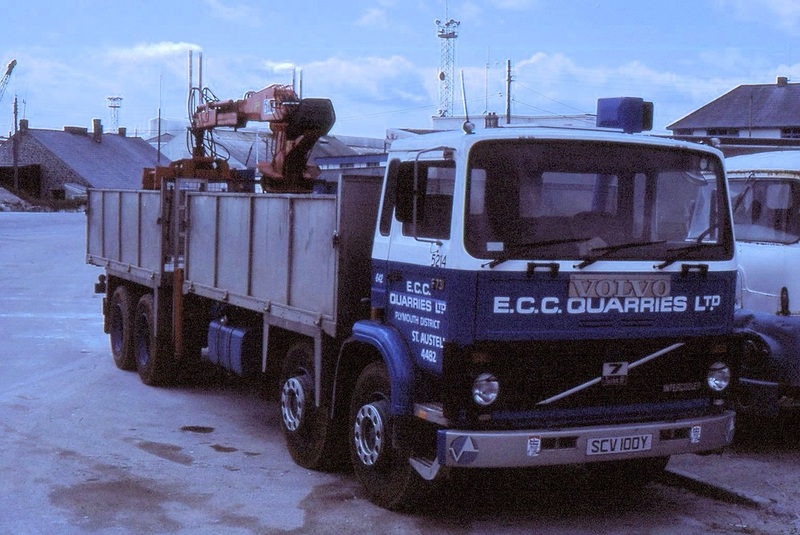 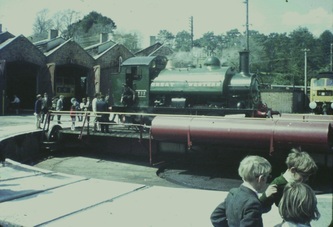 Seen here at Fowey Copyright Roger Tabb. 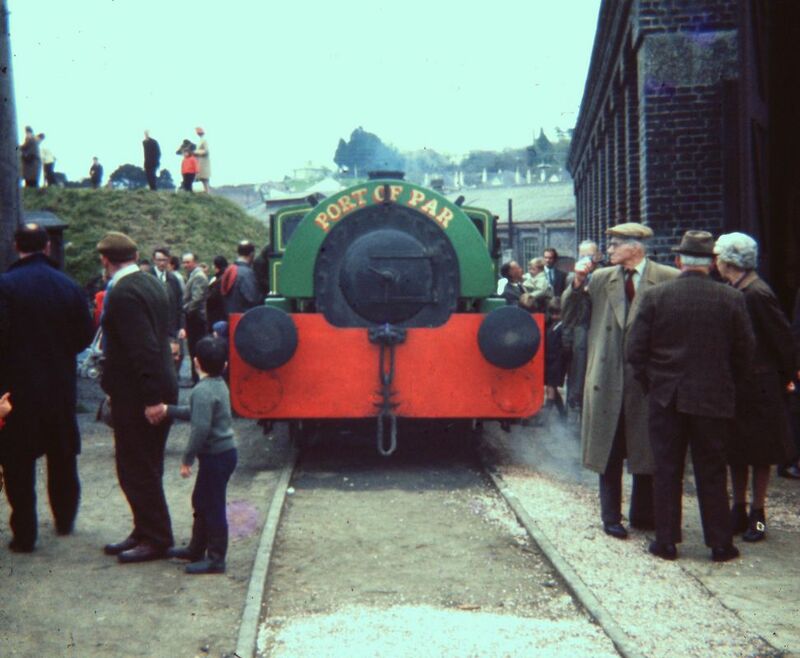 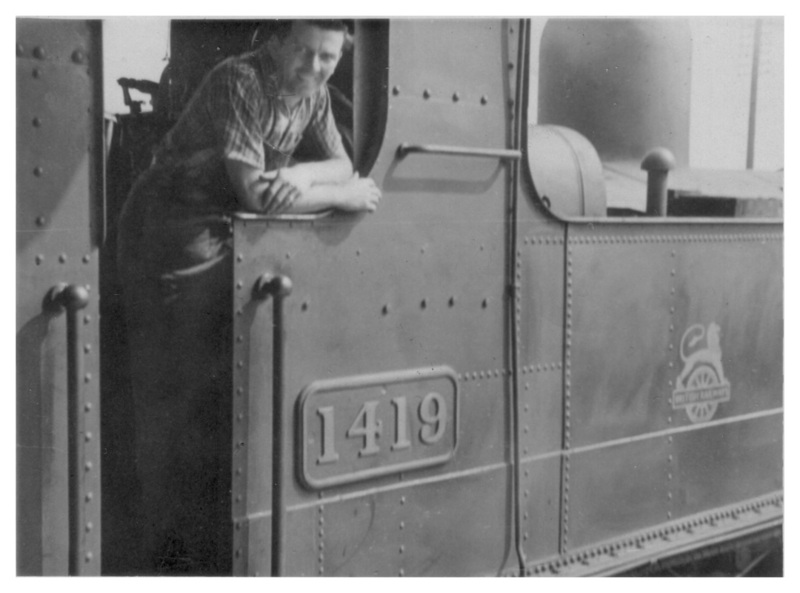 Roger Tabb - Started work for British Railways as a cleaner at St Blazey shed at the age of fifteen and a half. 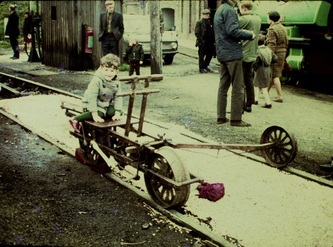 Before long he was riding up and down the yard adjacent to the depot acting as fireman but he was not allowed to go out beyond the depot precincts and yard until he was 18. National service took him away from Cornwall for two years army service where, after training his duties took him to the Suez canal region during the troubles out there. 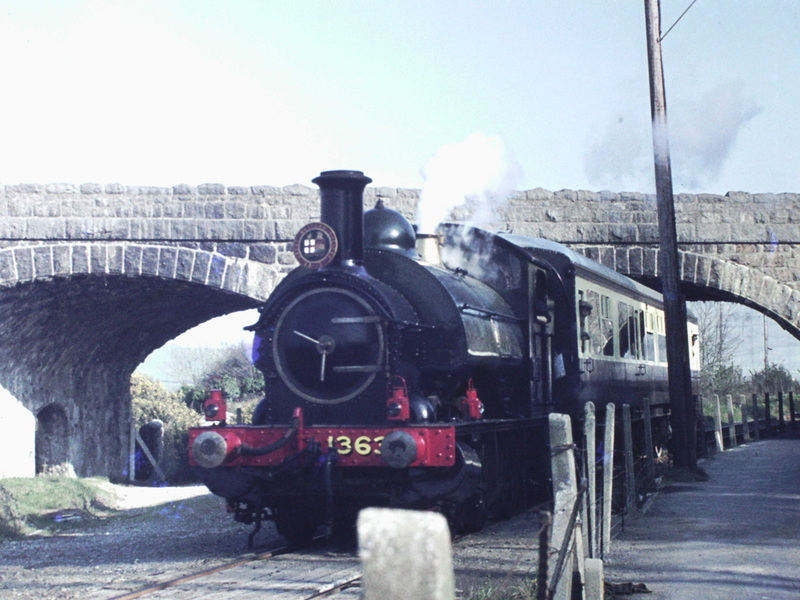 He returned to Cornwall and to St Blazey, however he was soon to leave the Duchy again for eighteen months gaining experience as a fireman in the Bristol area where he worked at Bath Road and St Phillips Marsh depots. 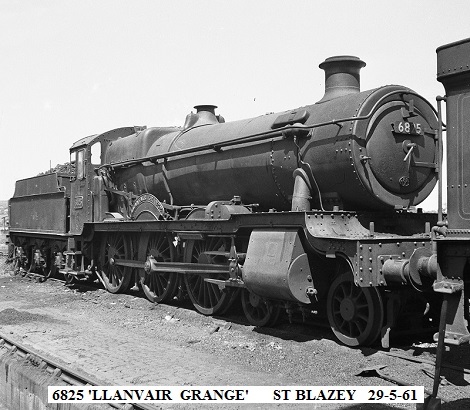 Returning to St Blazey he has many pleasant memories of his duties there which included firing turns on all of the local clay branches as well as the Looe branch. 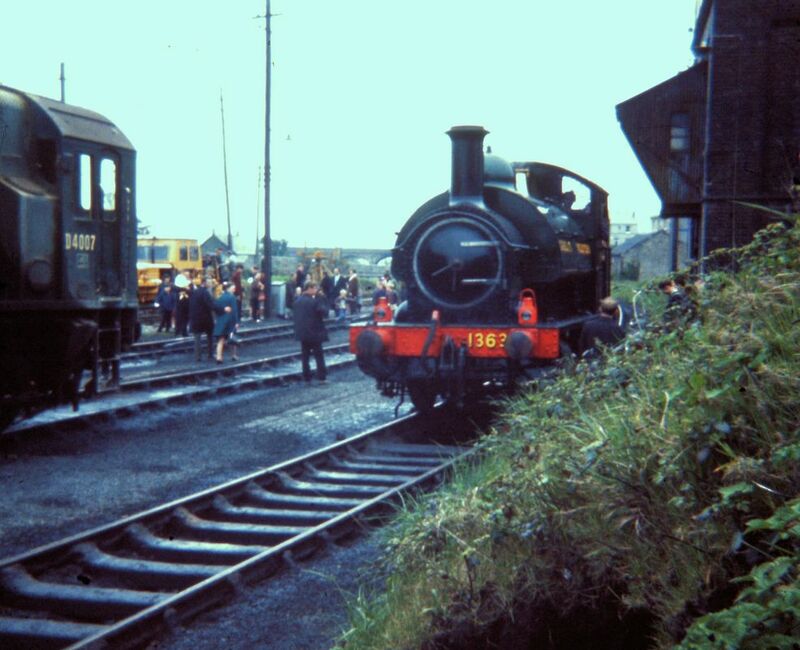 Passenger work took him along the Newquay branch and around to Perranporth and as far east as Laira shed and west right down to Penzance. 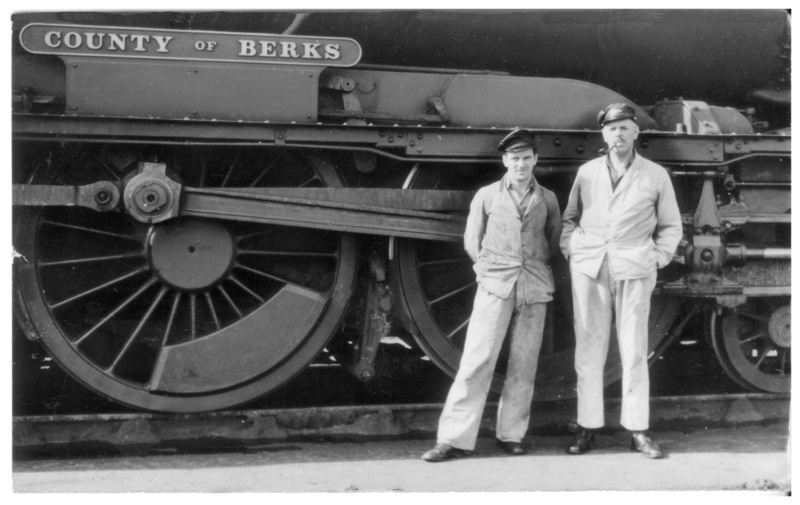 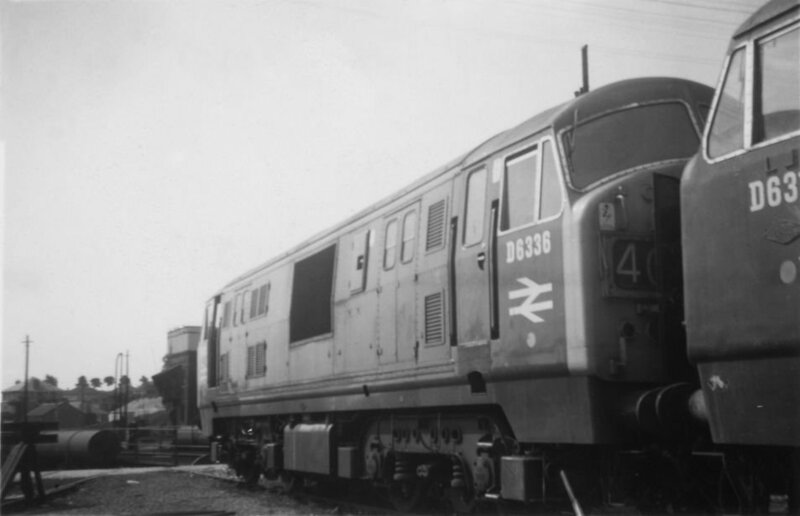 The ‘Beeching cuts’ and dieselisation saw an end to his railway career at the age of 30 in 1962. 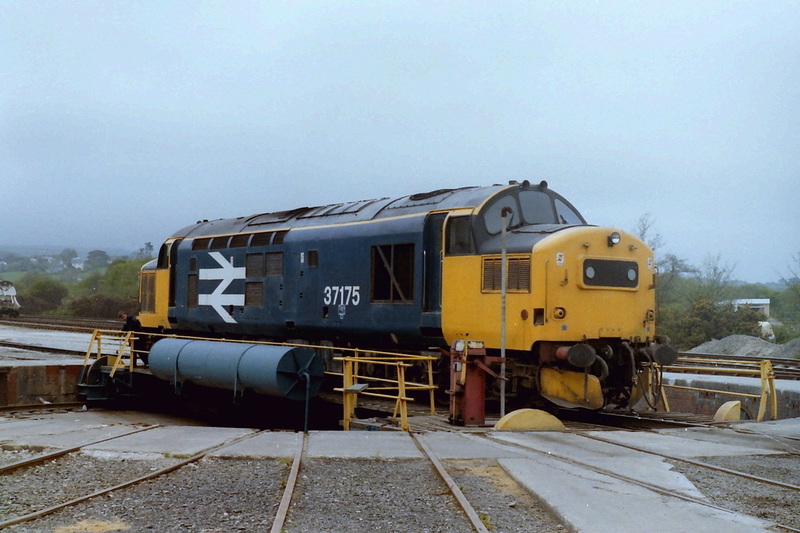 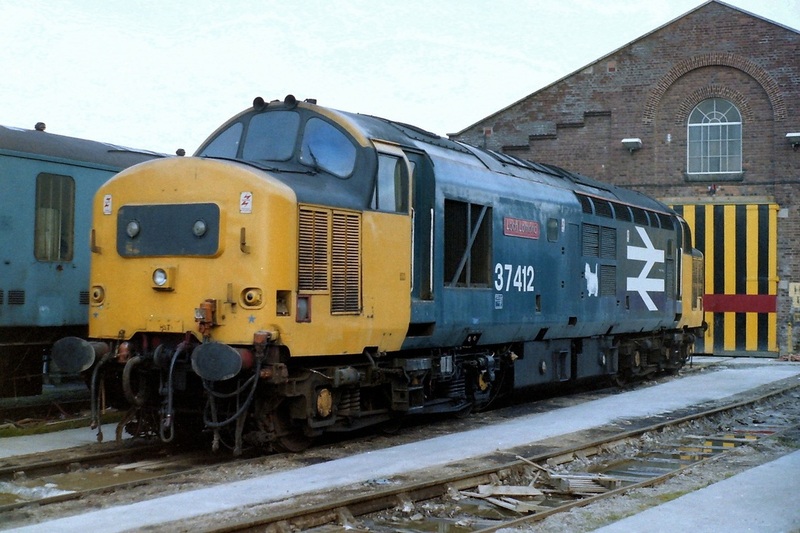 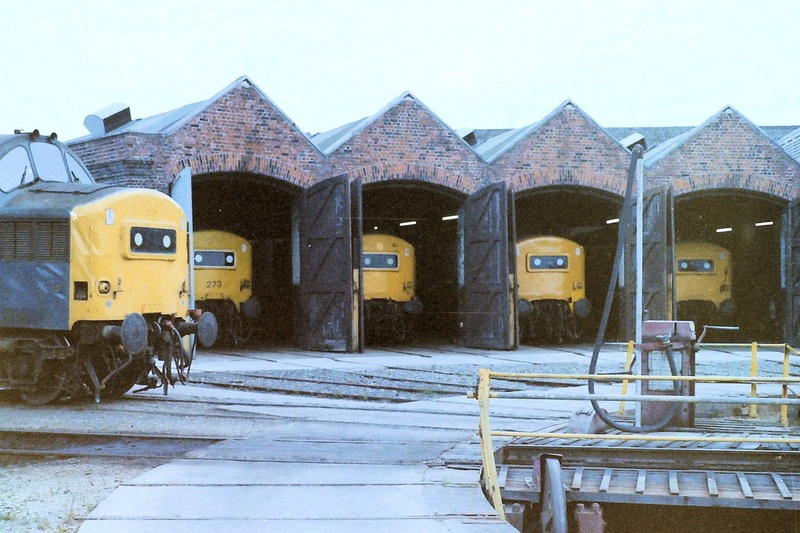 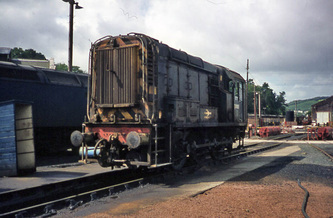 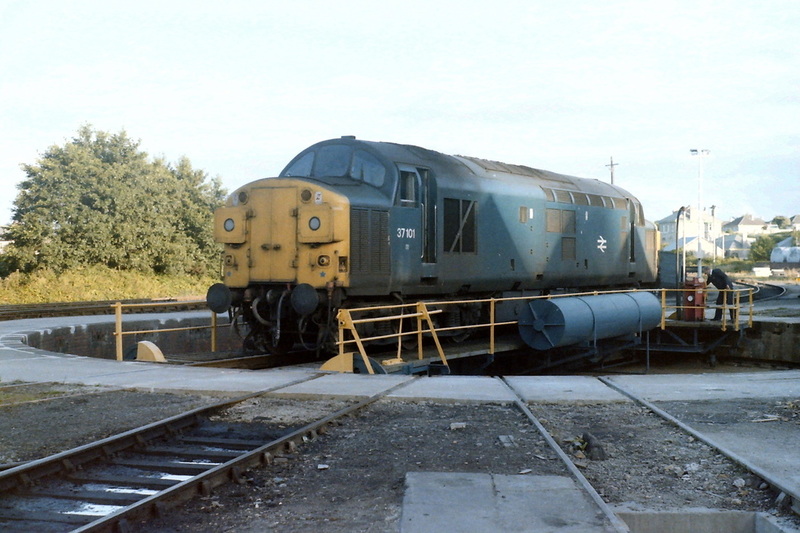 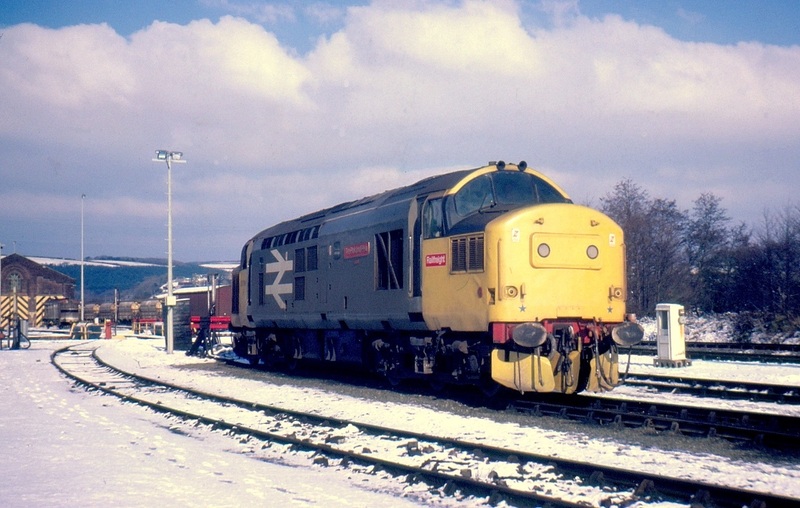 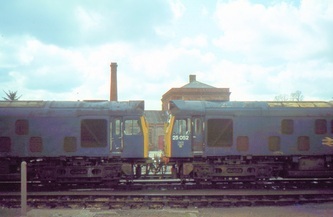 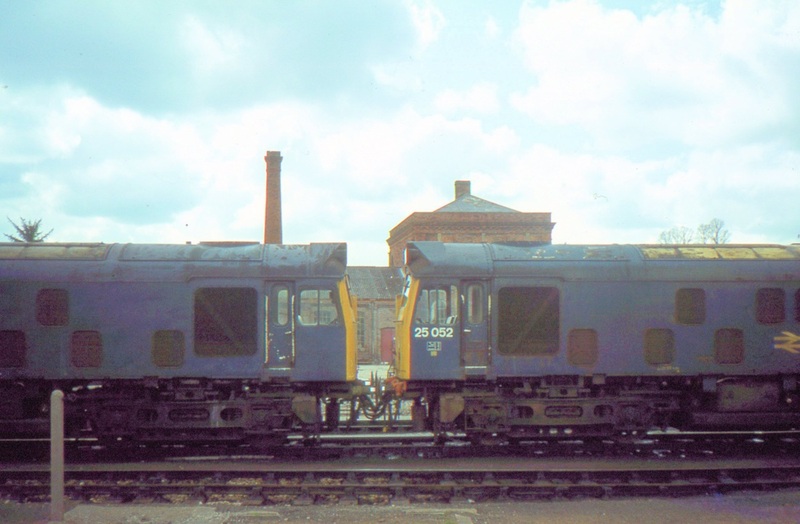 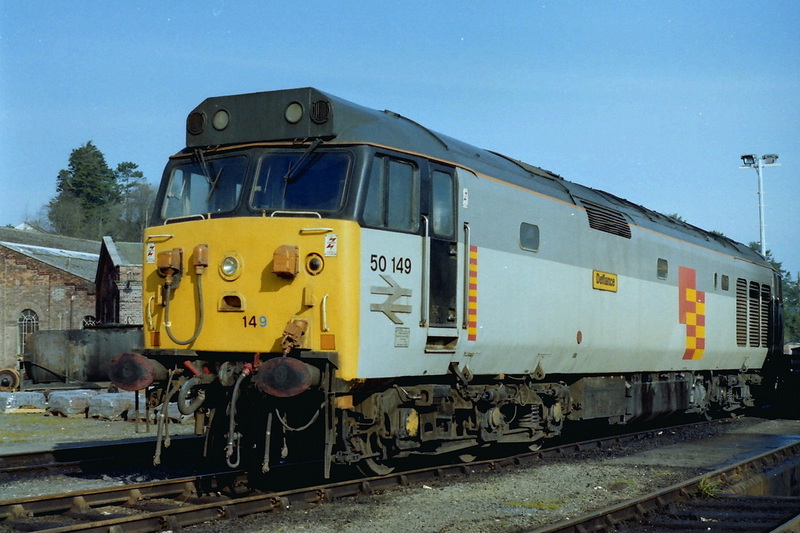 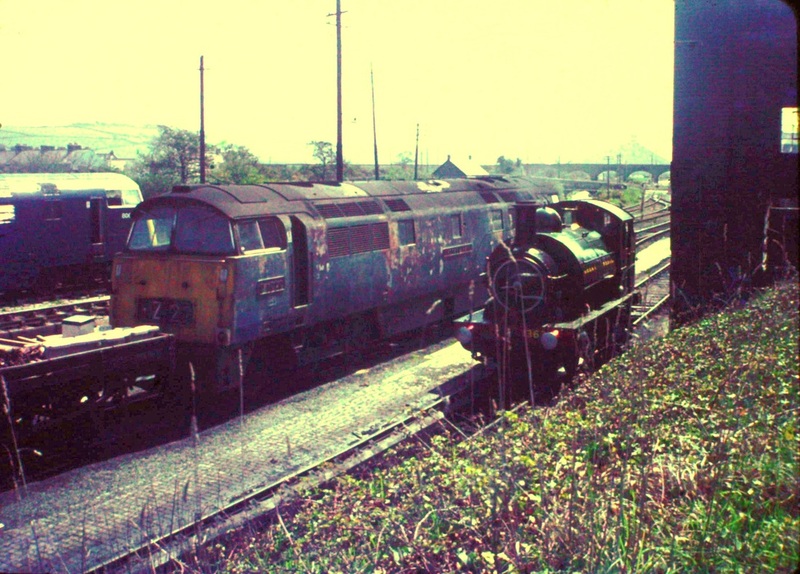 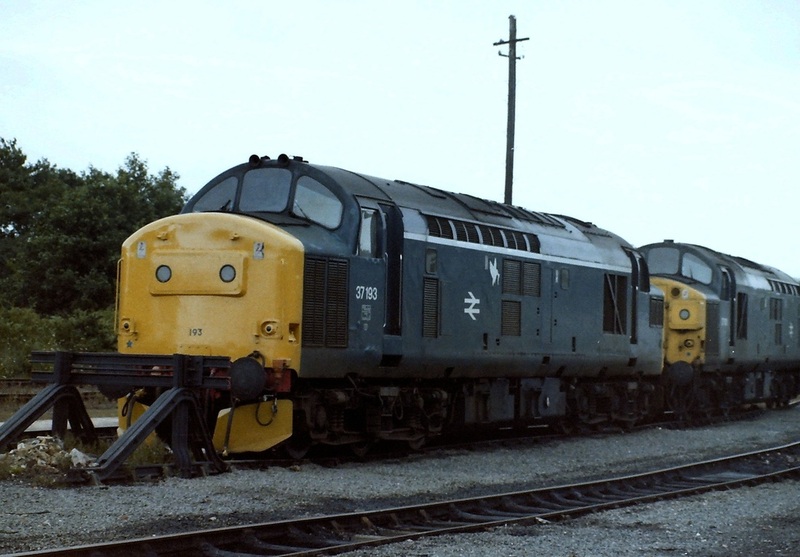 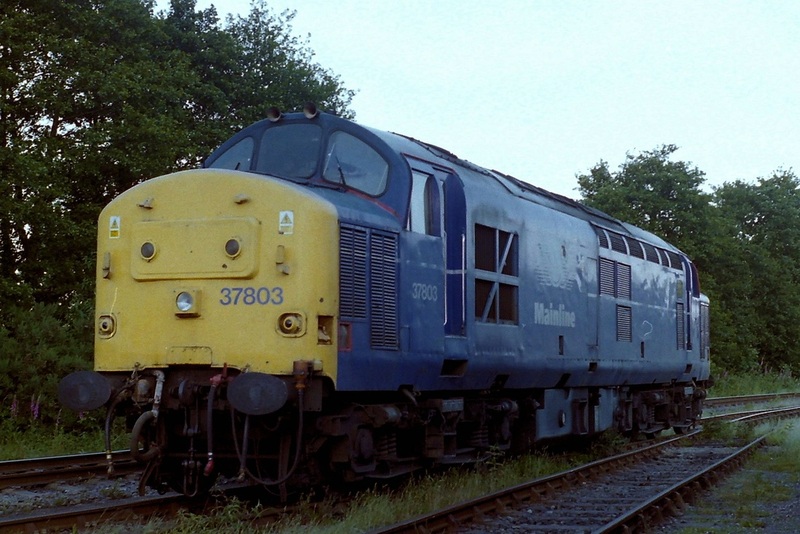 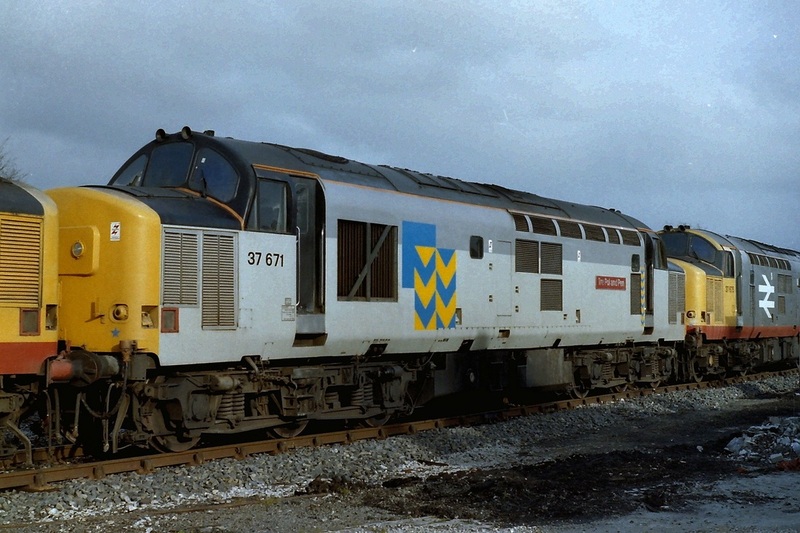 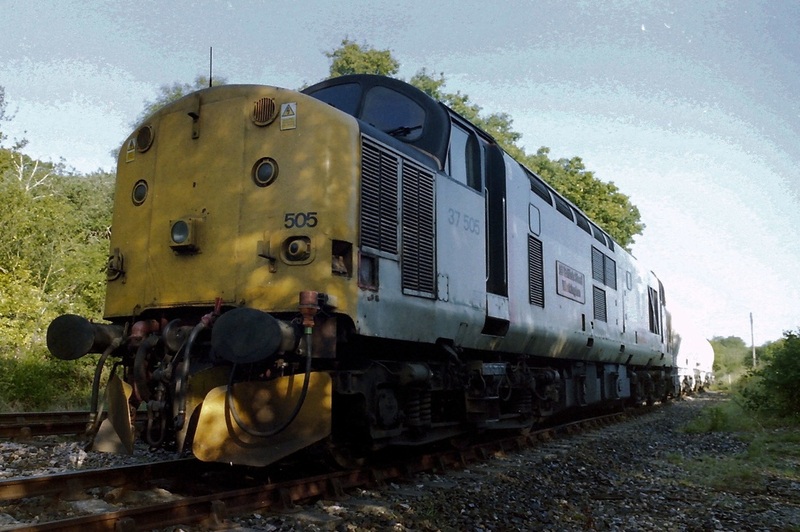 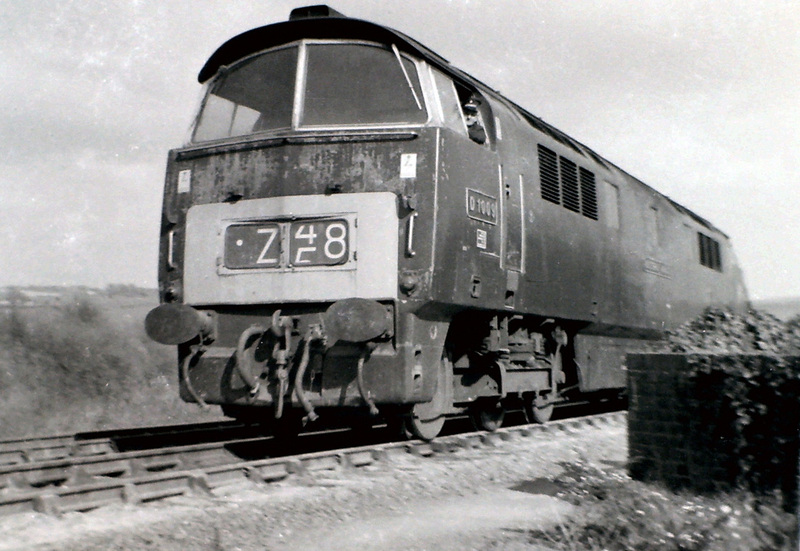 He had no time for the 63’s – the class 22 diesels, or for that matter for the Westerns – they were noisy. You can’t beat a Castle he said! 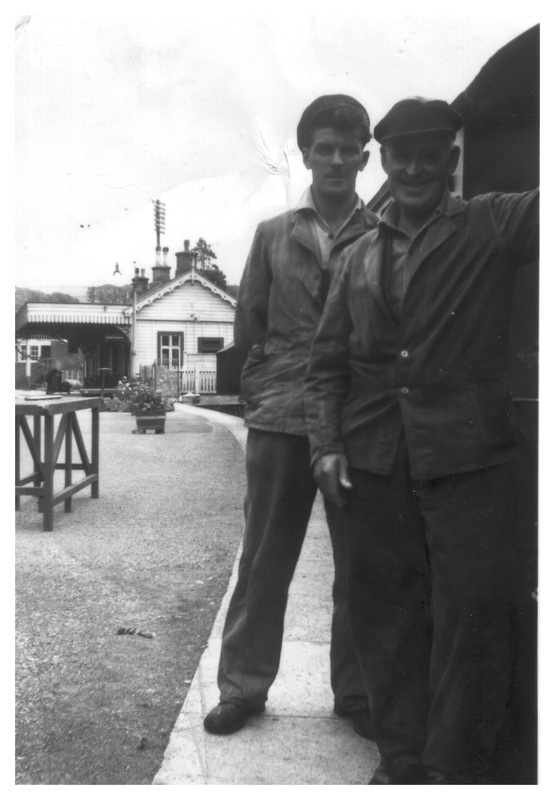 He then worked for a while at Fowey Docks but was pleased to get a ‘golden handshake’, leaving there, to become self employed as a fisherman working out of his home village of Golant. 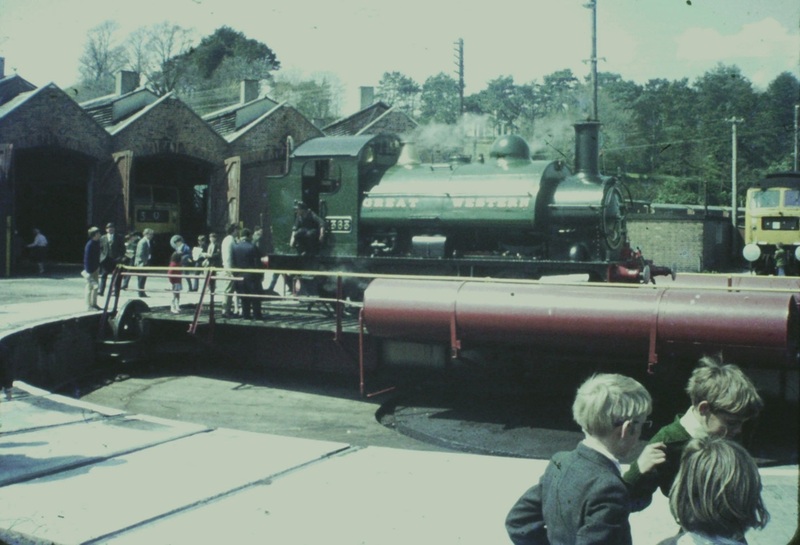 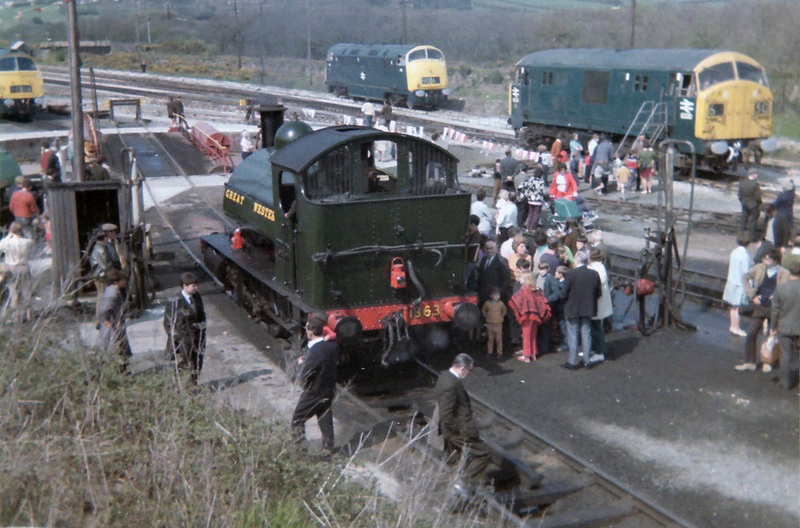 Many thanks to Roger Geach who provided this comprehensive list of the motive power at St Blazey on the three open days held in 1969, 70 & 71. 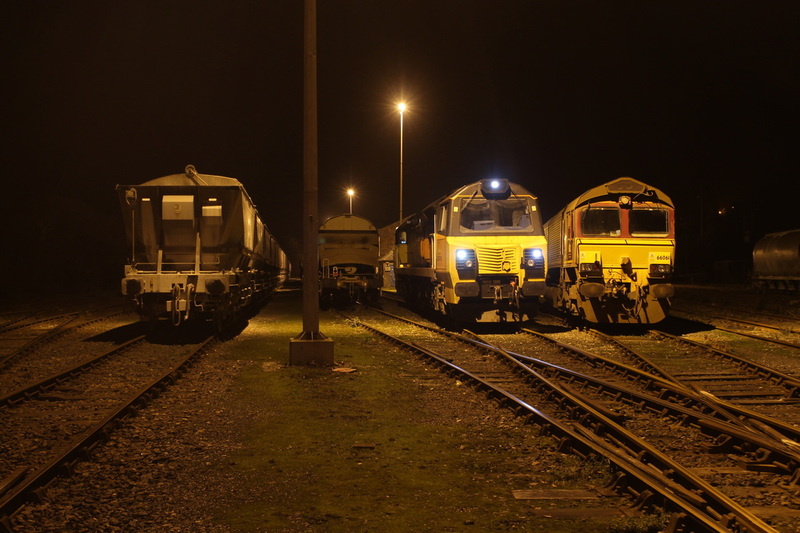 806 and 6330 were giving rides in the yard. 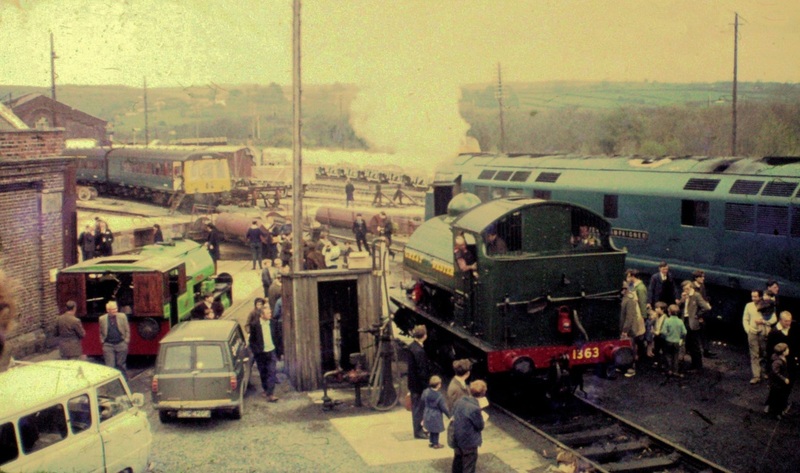 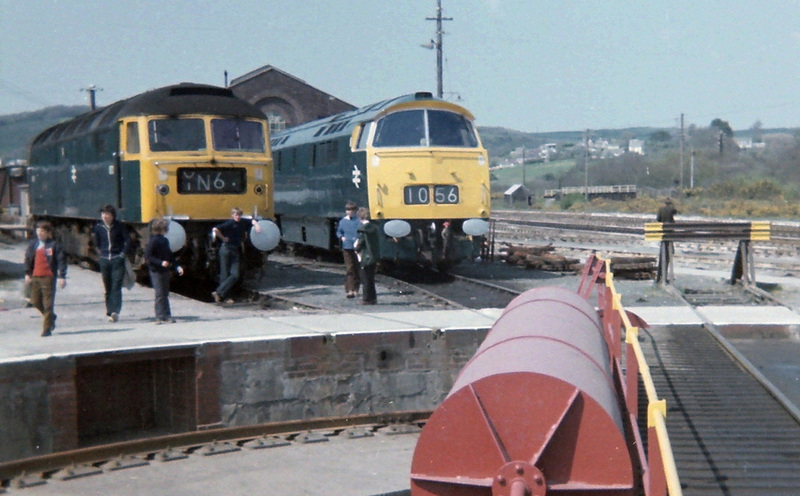 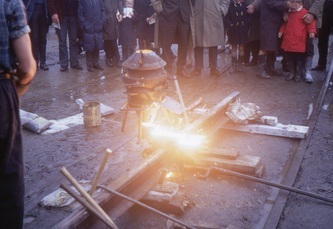 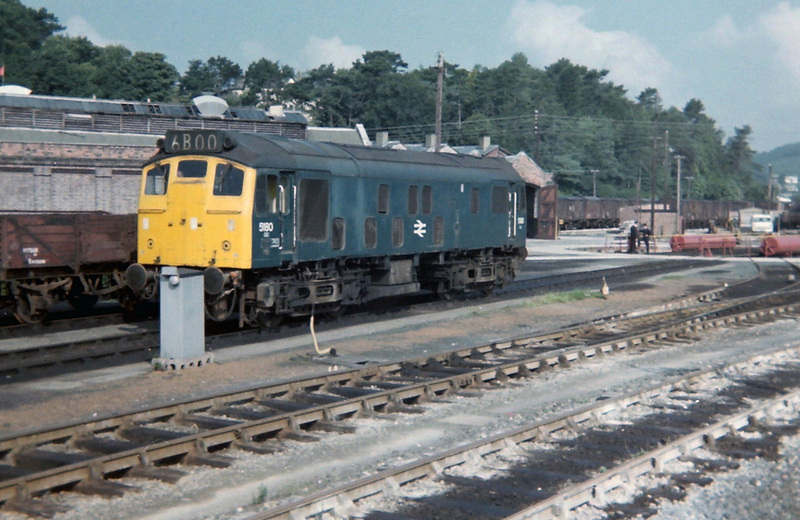 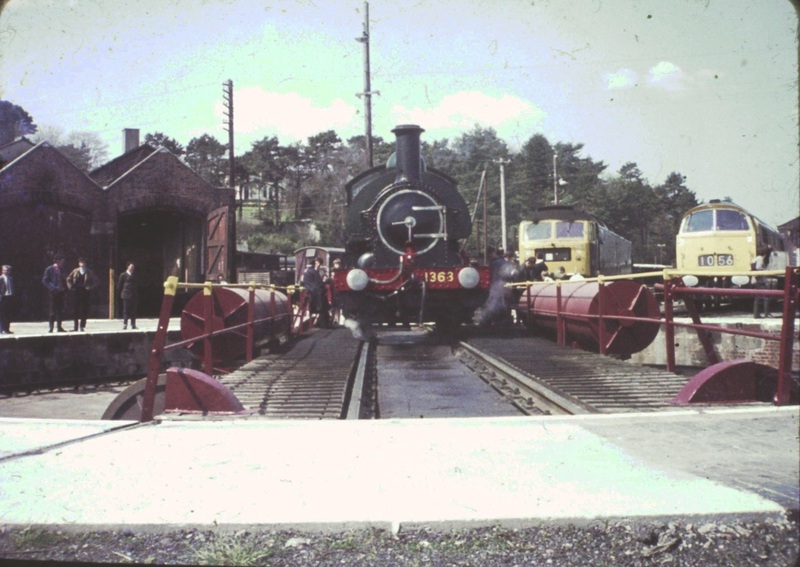 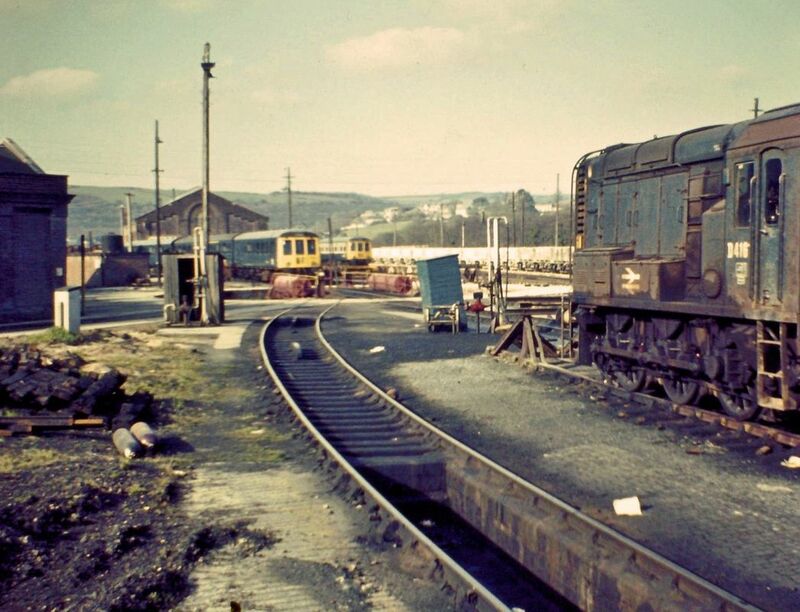 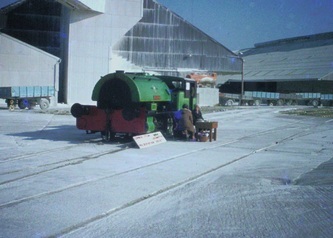 The date is about 1953 and 1015 County of Gloucester is 'on the blocks' at Par Bridge Crossing box, having coaled and watered at the shed in the background. 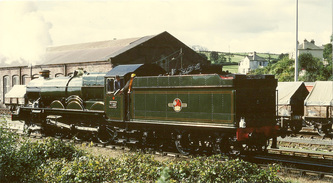 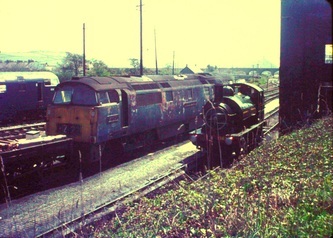 She was a Laira engine at the time and had probably come in on a special to Newquay and was awaiting her return trip. 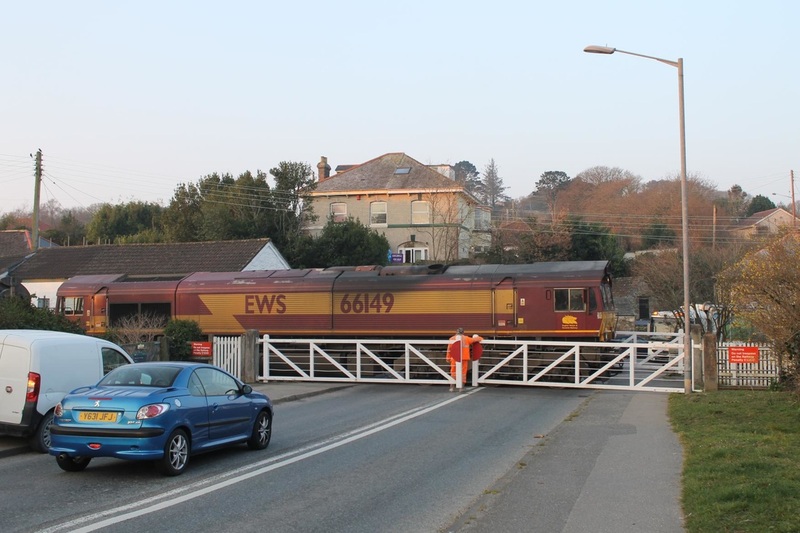 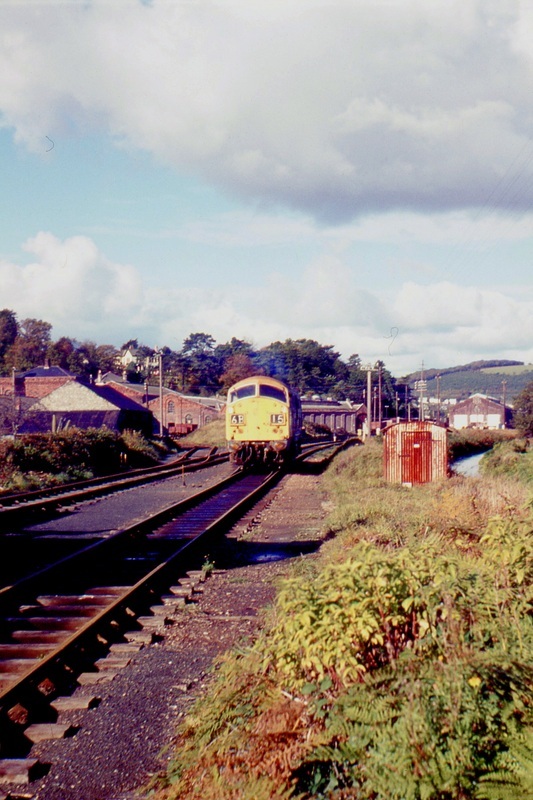 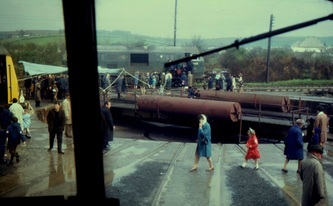 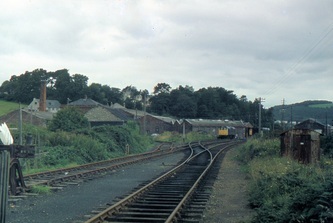 The track in the foreground is the single line to Fowey and the box and level crossing are behind the photographer. 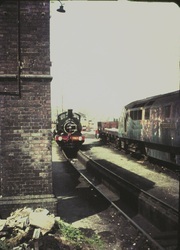 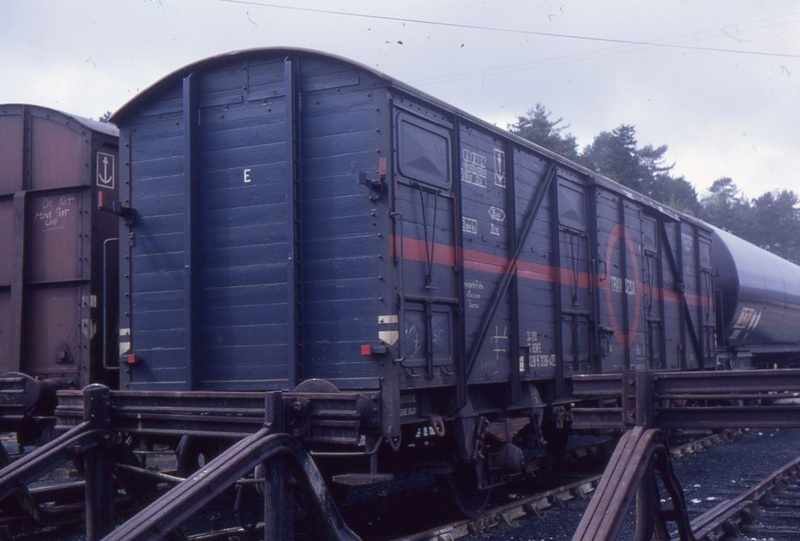 This line is still there today as a siding to Par docks. 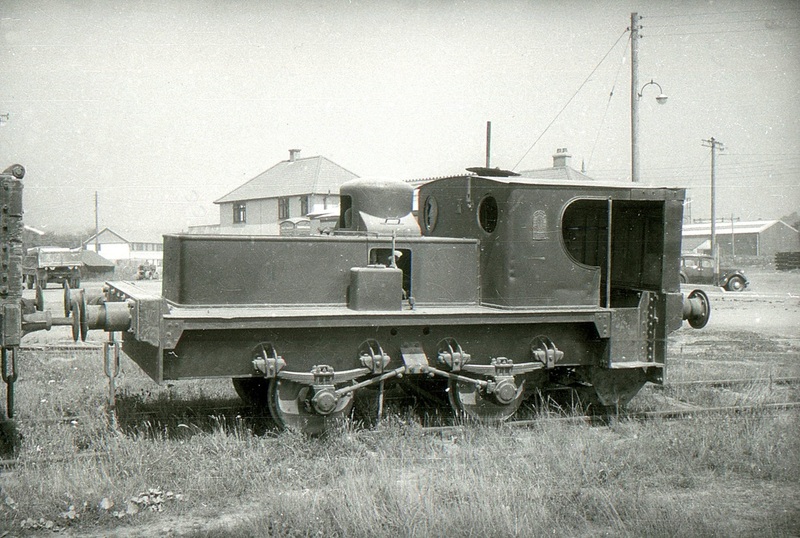 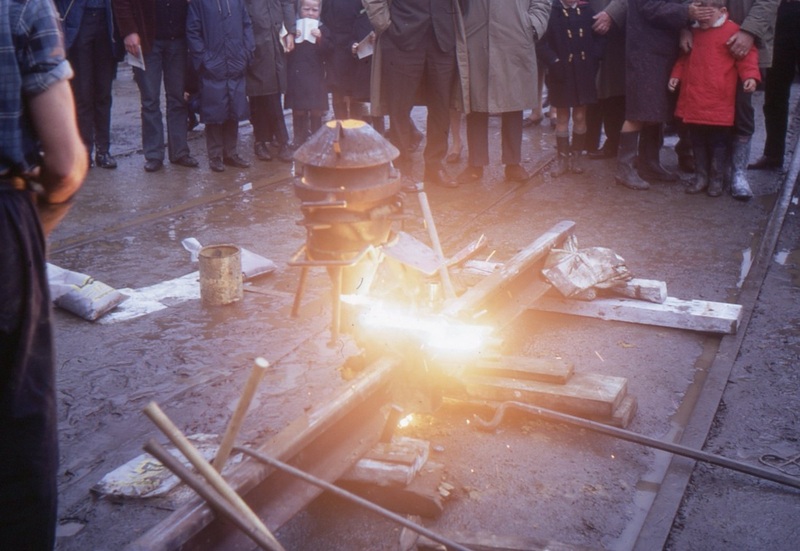 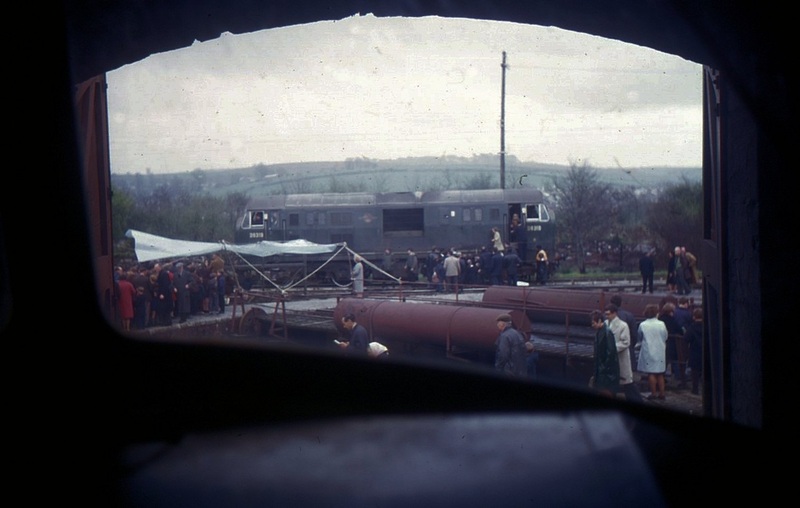 Apart from a short-lived experiment in the summer of 1960, 'Counties' were not shedded at St Blazey. 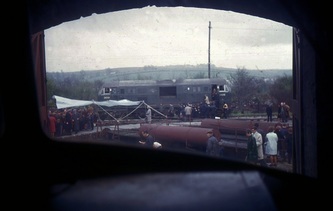 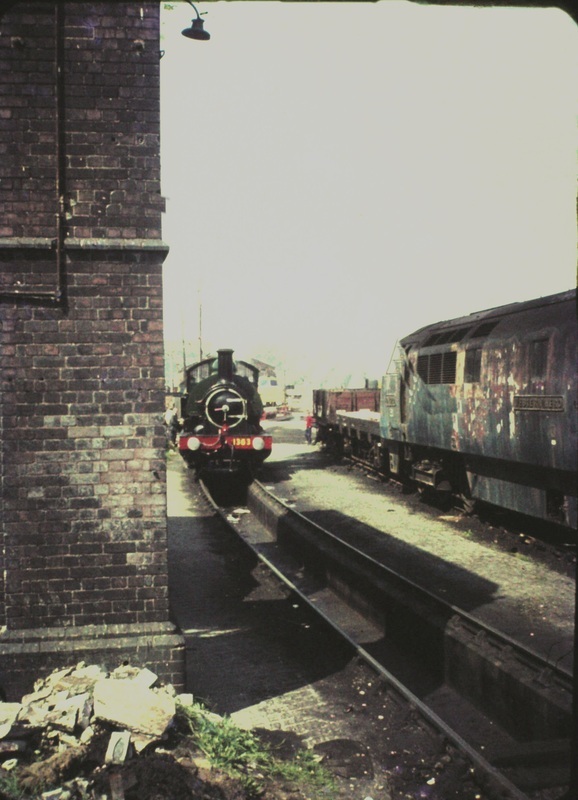 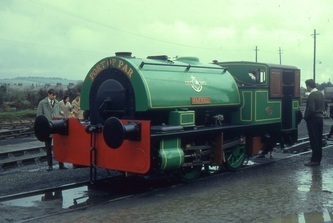 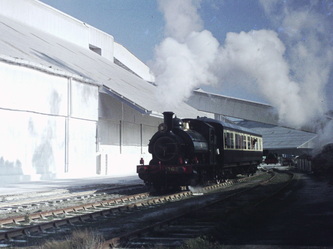 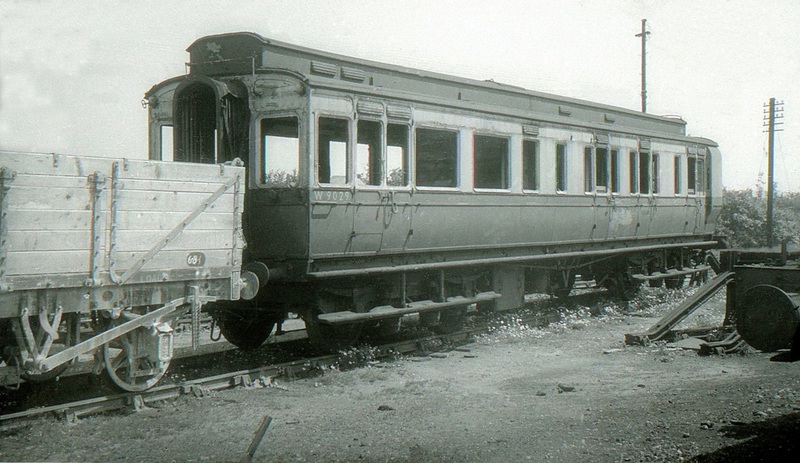 Notice that bracket signals were painted entirely white: this was the GWR practice. 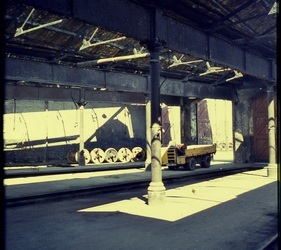 The Western Region painted the gantry work black. 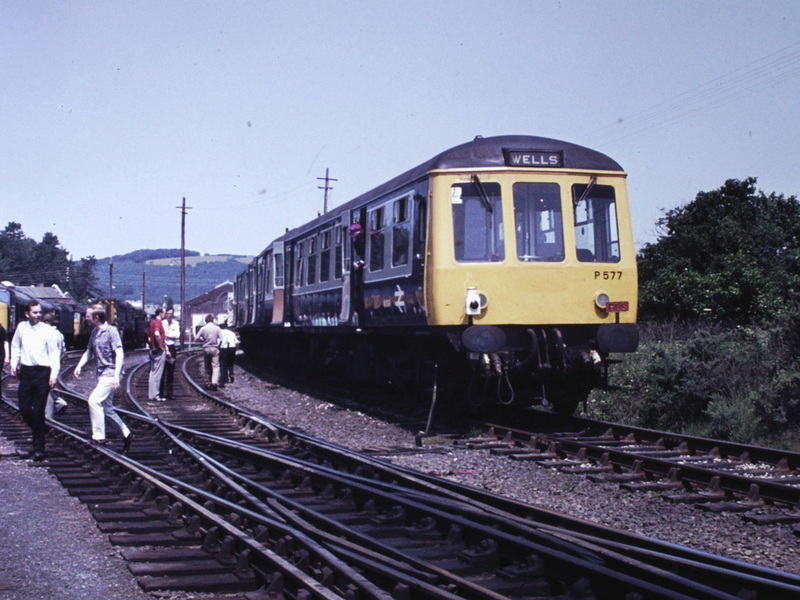 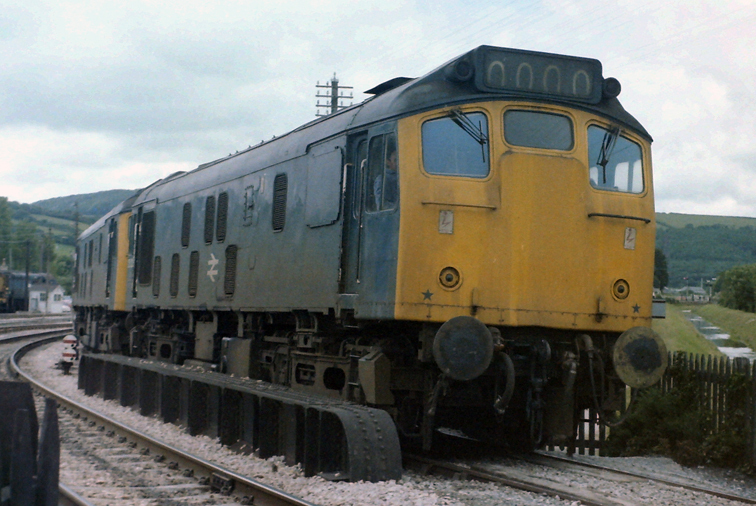 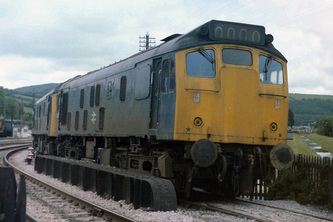 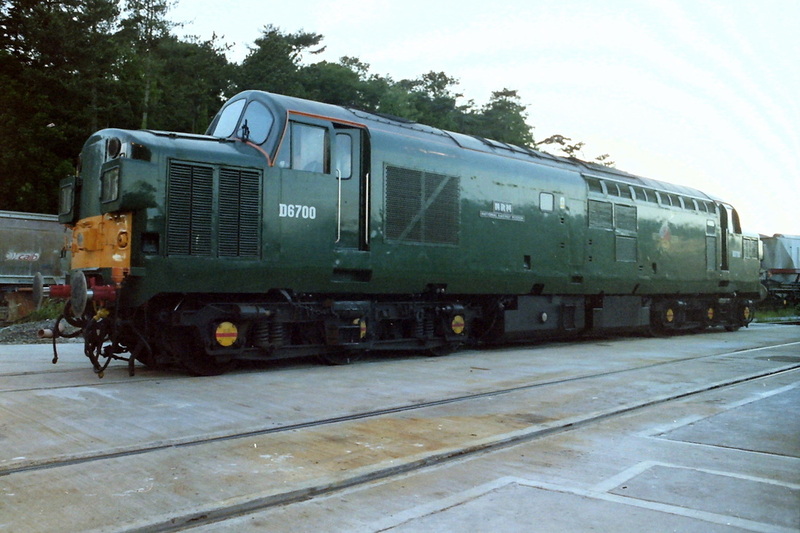 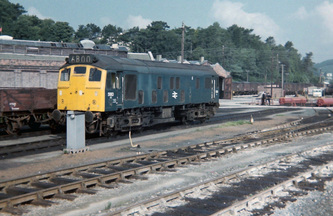 Cornwall's first Class 25, D5180, arrived at St Blazey on Friday July 30 1971. 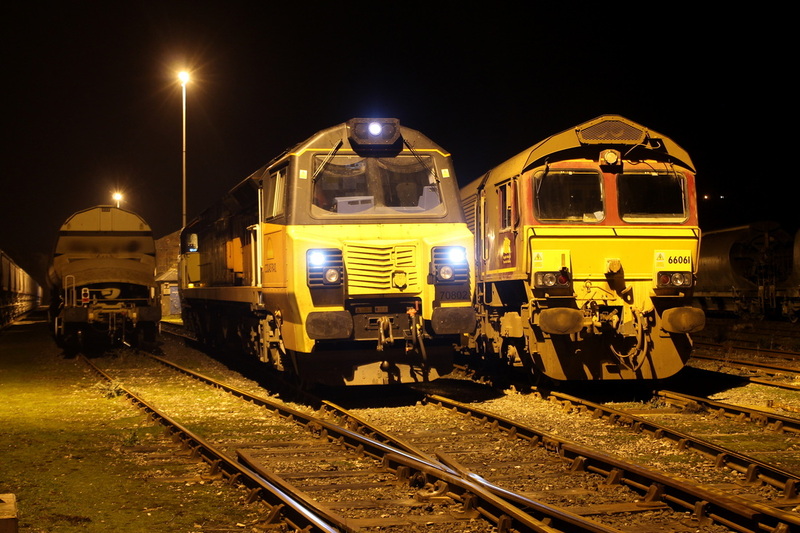 This photo was taken at the depot on Monday August 16. 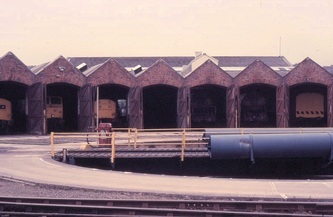 A Leeds Holbeck 55A shed plate is still attached to the cabside below the works plate, despite the 'Ebbw Junction' stickers on all four corners. 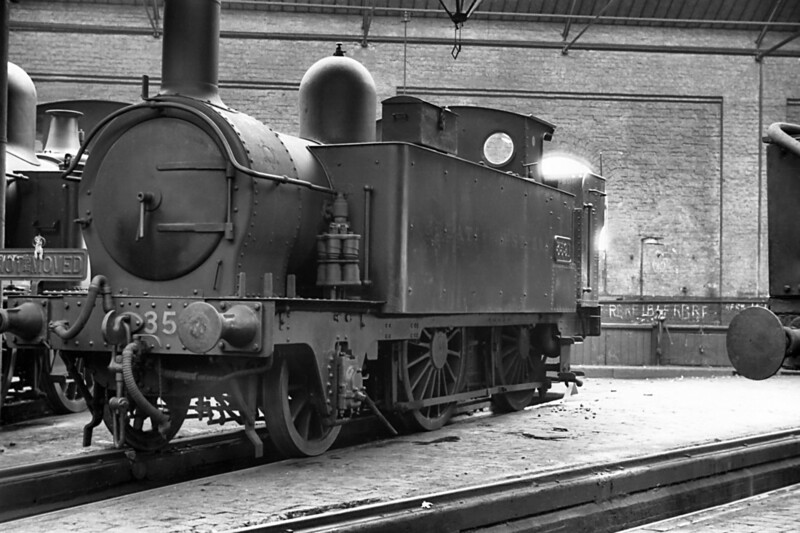 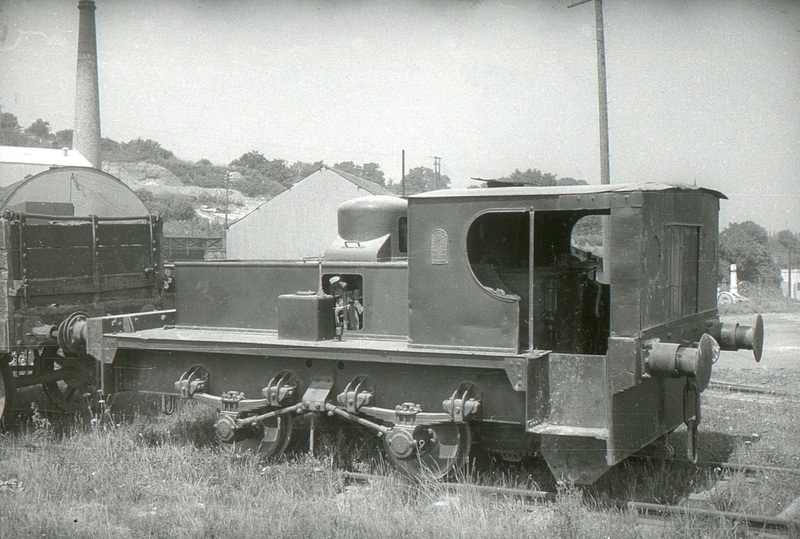 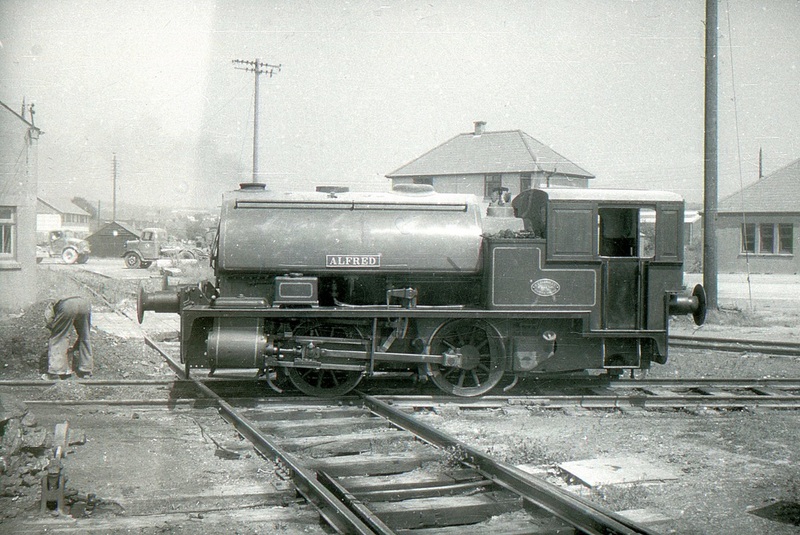 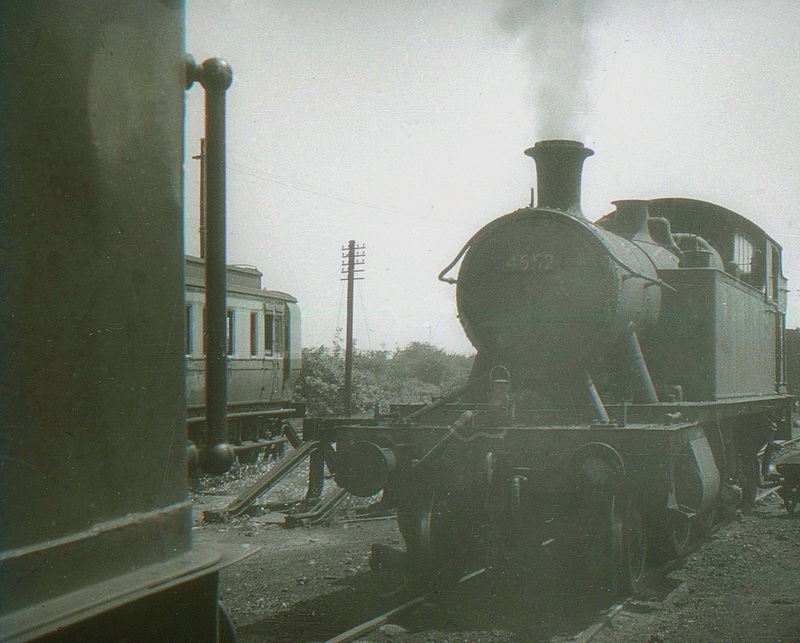 On St Blazey shed on 2nd August 1957 is seen W9029 From the collection of the late Jon Wood Copyright.